An ideally positioned period property with versatile, well presented accommodation, 11 acres of land and a useful array of outbuildings and detached stable block. 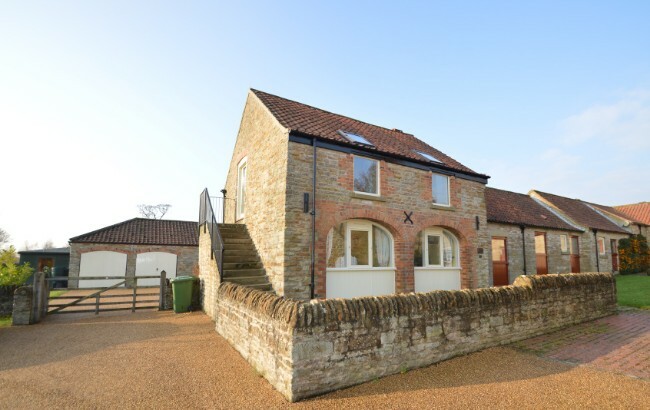 An excellent opportunity to purchase a handsome, stone & pantile four bedroom farmhouse together with extensive period farm buildings, a range of more modern / general purpose buildings occupying a large site of approximately 1.41 acres. A well positioned and good quality unit, with a range of office and warehouse space allowing for flexible use. Amounting to approximately 10,000sq.ft. A superb lifestyle property comprising three fully equipped holiday cottages together with a separate owner/manager's cottage located on the edge of the North York Moors. An exceptional detached cottage, recently completed to an excellent standard by a well-respected local builder, providing versatile accommodation with gardens, paddock, ample parking & open-fronted double garage. A spacious, four bedroom family house located on the edge of the Howardian Hills in large gardens with ample parking & double garage block with loft room above. A completely renovated & extended five bedroom village house providing spacious accommodation & set within large gardens of just over one third of an acre, which may have some potential for development, subject to securing the necessary consents. Beautifully renovated & extended semi-detached town house offering spacious four bedroom accommodation extending to almost 2,600 sq.ft, standing in large gardens with open views. A Handsome stone built detached house with spacious period accommodation over three floors, garden and off-street parking only a short walk from the centre of this popular and picturesque Market Town. A Grade II Listed, Seventeenth Century Thatched Cottage with Separate Holiday Cottage/Annexe situated in a scenic part of one of North Yorkshire’s Most Sought After Villages within gardens of over half an acre. Restored and updated under the careful eye of the current owners; High Meadows is a beautifully presented character property providing over 1,300 sq. feet of accommodation, and set in private gardens and grounds, on the south west corner of this small development of the original West End Farm. Showing 51 to 75 of 251 Properties.